Is it possible to get a Vietnam visa on very short notice over a weekend? The answer is that it is possible, however it's more expensive than what you need to pay on week days. If you are in need of a visa for your last minute trip, here is some important information for getting your visa as quickly as possible on Saturdays, Sundays & public holidays. Your passport must be valid for at least 6 months beyond your entry date. Your passport has 2 blank pages for the visa stamp. You must arrive by air at an international airport in Vietnam. Weekend visa is available for single entry - 1 month only. Visa on arrival is the only option to obtain a visa over the weekend as the e-visa service may take 3-5 working days and the embassy office is closed on Saturday and Sunday. 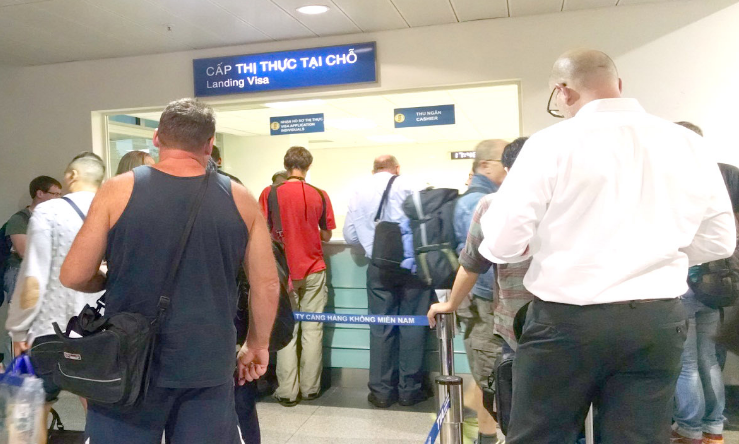 In order to pick up the visa on arrival, you are required to apply for a pre-approved visa letter to check in at the departure airport and receive the visa stamp upon landing at Vietnam airport. Before 8:00 AM: If you submit your application before 8:00 Am Vietnam time, you will receive the approval letter by 12:00 Pm. Before 14:00 PM: If you submit your application before 14:00 Pm, you will receive your approval letter by 18:00 Pm same day. For a “weekend” visa approval letter, which will be ready in 4-6 business hours, it will cost $139 USD with FREE fast-track service at Vietnam airport and this fee does not include the stamping fee ($25 USD) at Vietnam airport. Can I apply for a weekend visa if I travel overland from Cambodia to Vietnam? We are afraid that the visa on arrival is applicable for air travel only. If you plan to enter Vietnam by land, you are required to obtain a full visa in prior to your trip. I want to apply for a visa for an early entry on Monday, can I apply for a weekend visa? Yes, sure. You can submit your application to receive the approval letter on Sunday for your trip on early Monday.